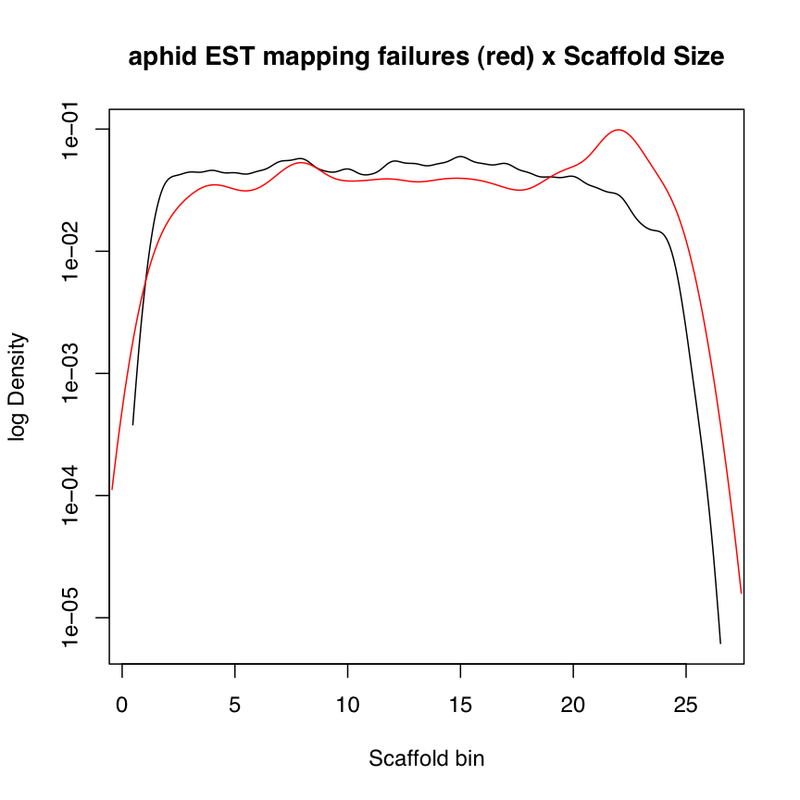 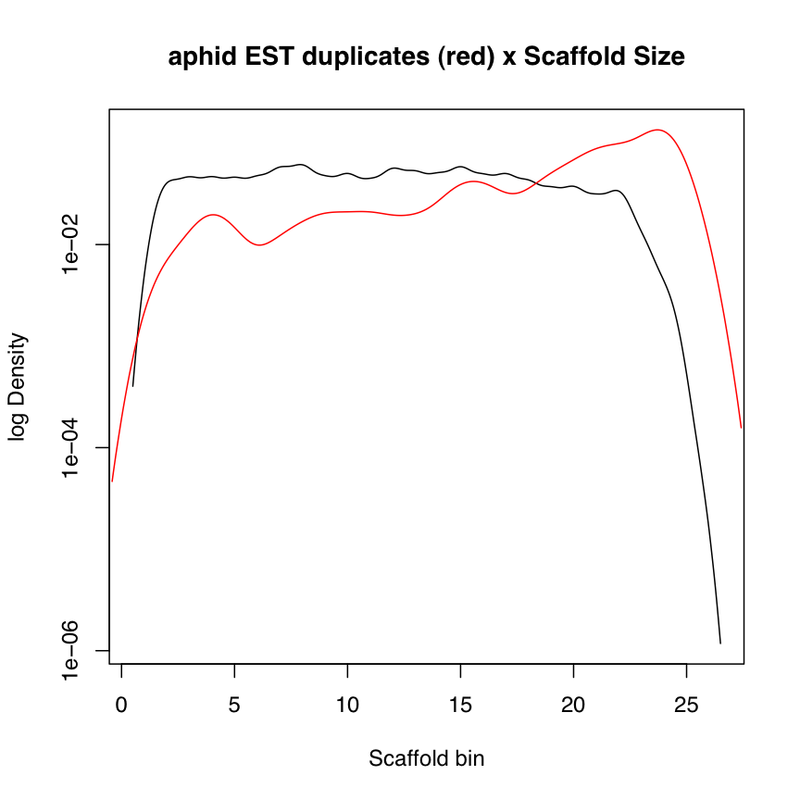 ESTs for Arthropod species here are measured for errors mapping to genome assemblies. 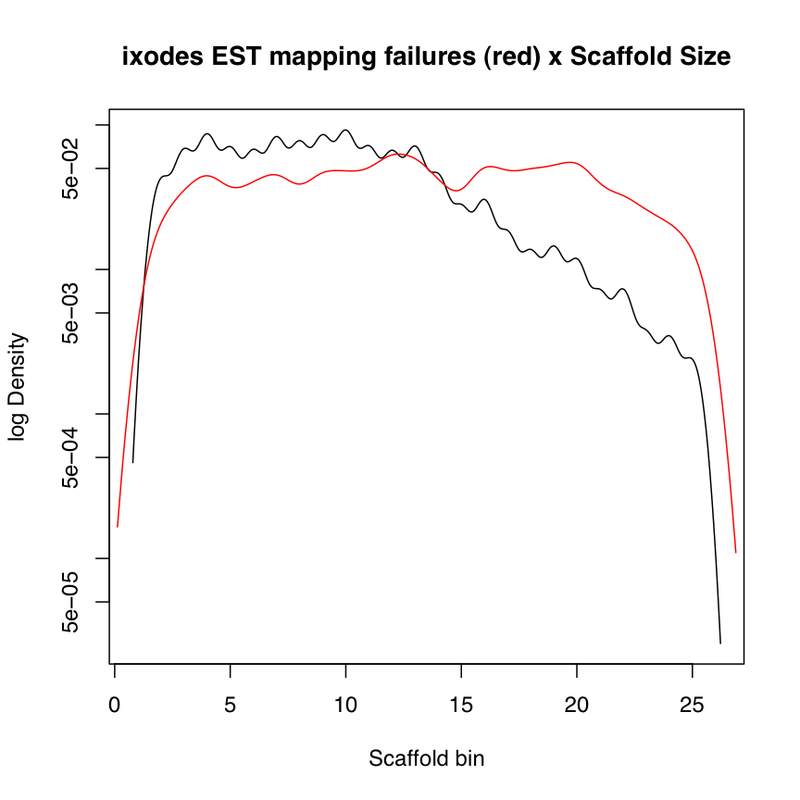 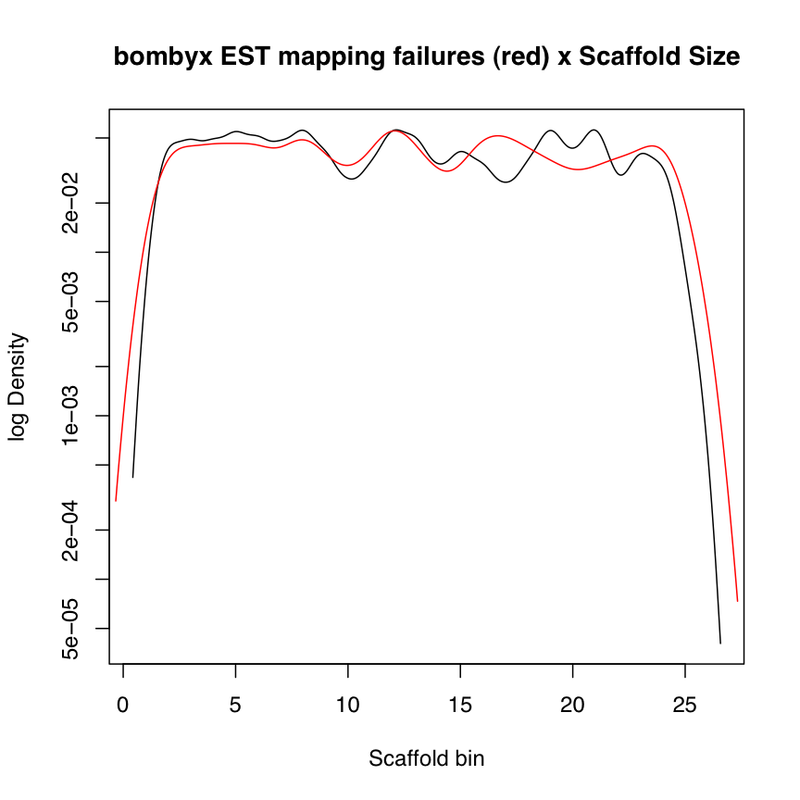 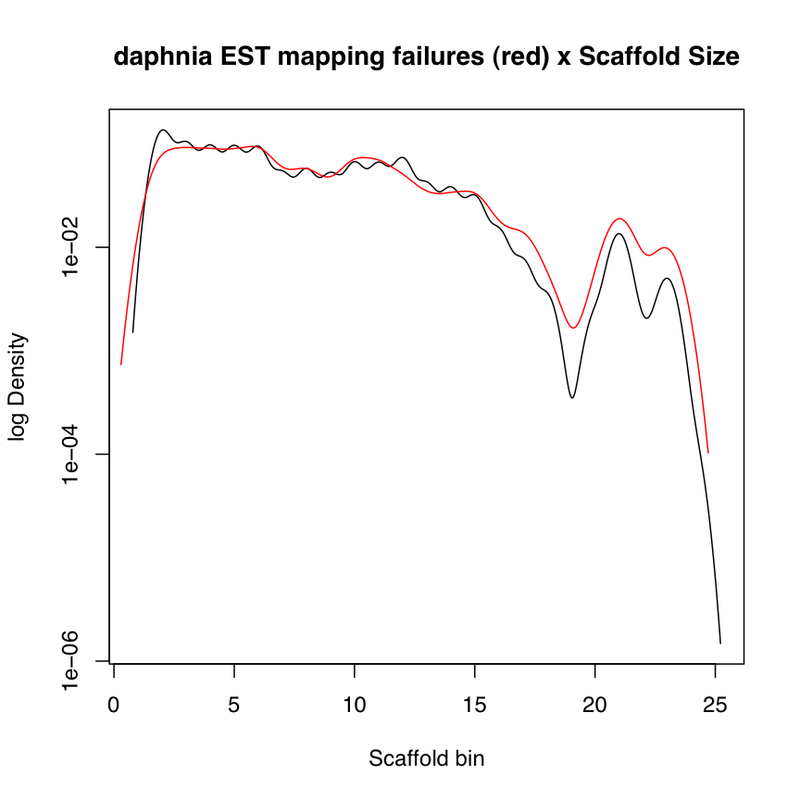 The density of errors is plotted against assembly unit bins from large to small. 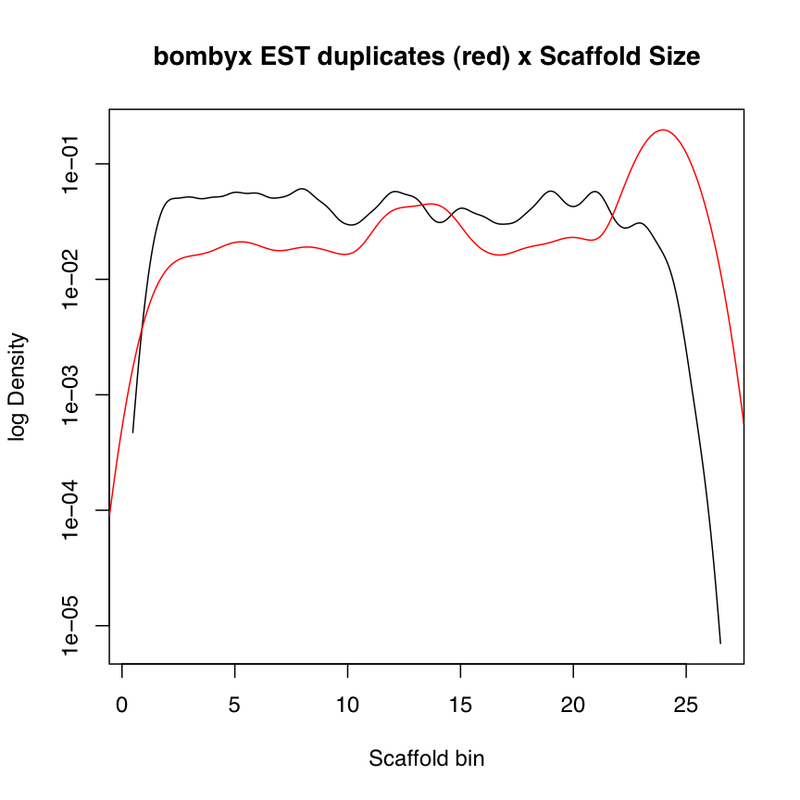 Scaffold bins have approximately the same base size, with small scaffolds in higher bins (14..25). 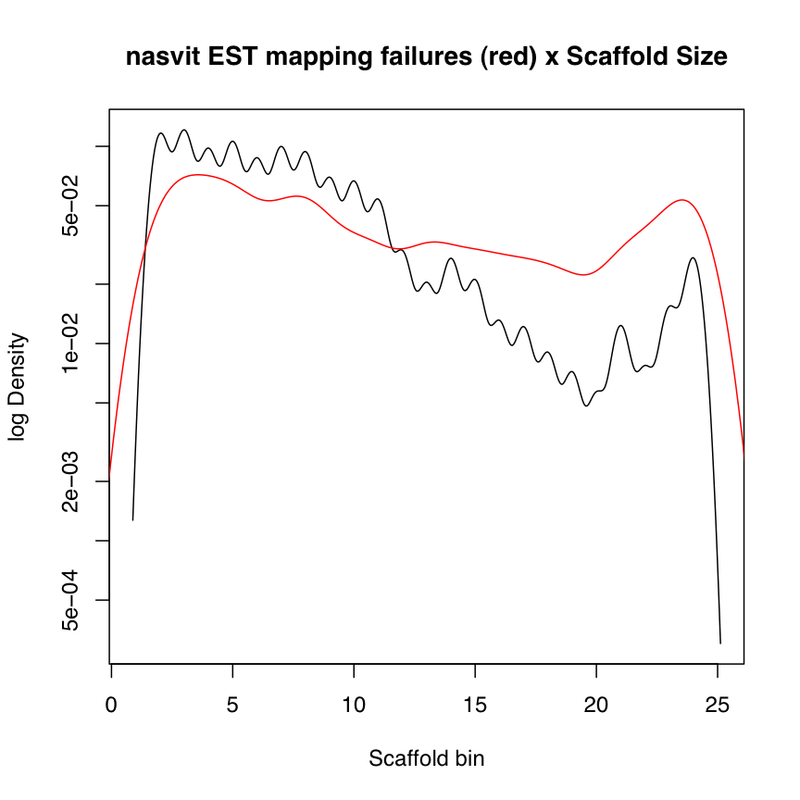 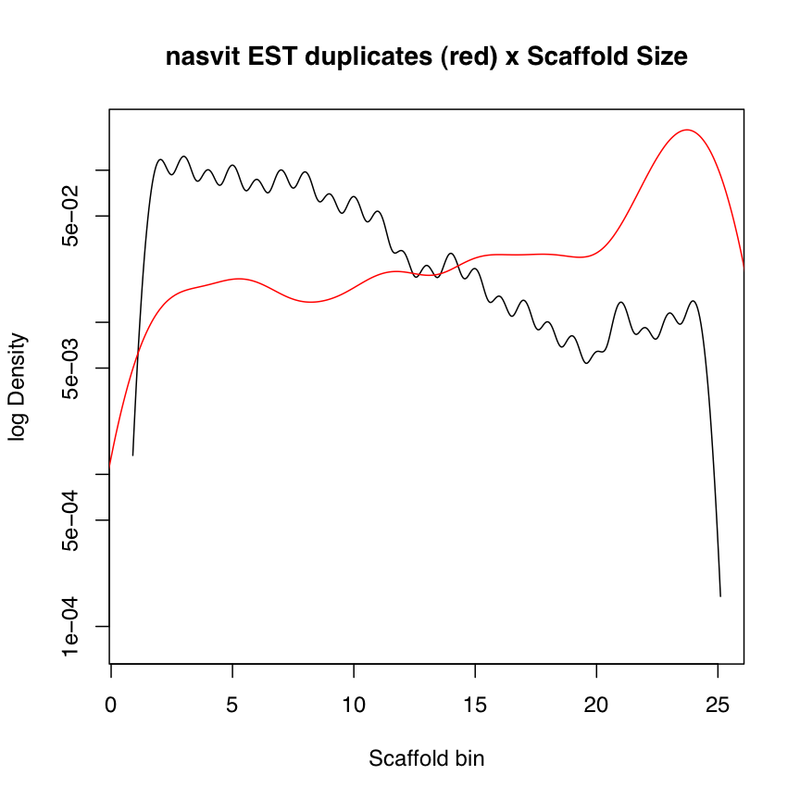 This tests if small scaffolds have a higher portion of errors (H1) versus same distribution (null hypothesis). 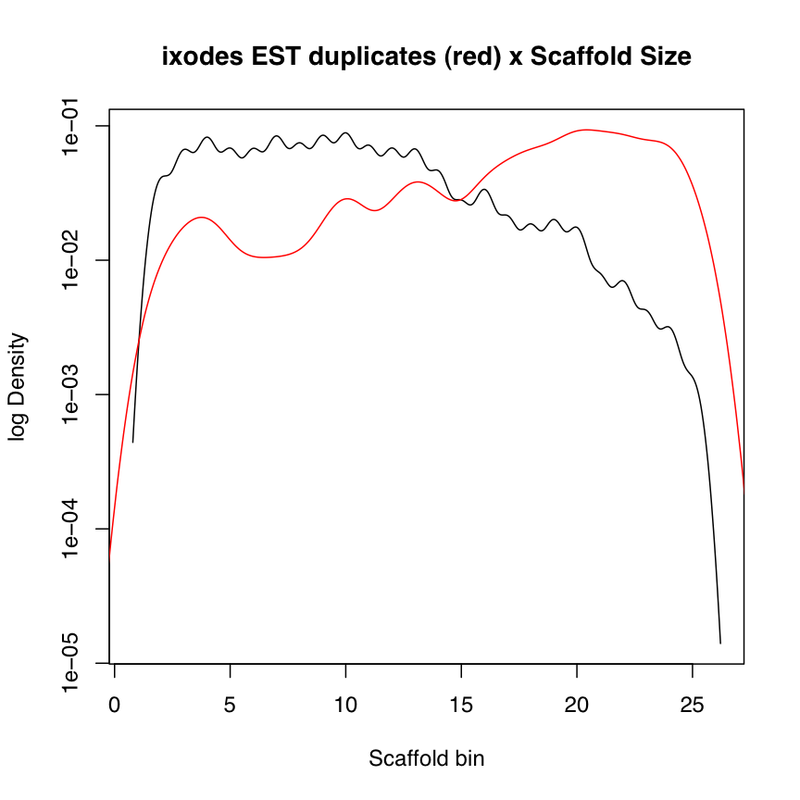 Small scaffolds tend to have lower assembly coverage, more missing and mis-called bases. 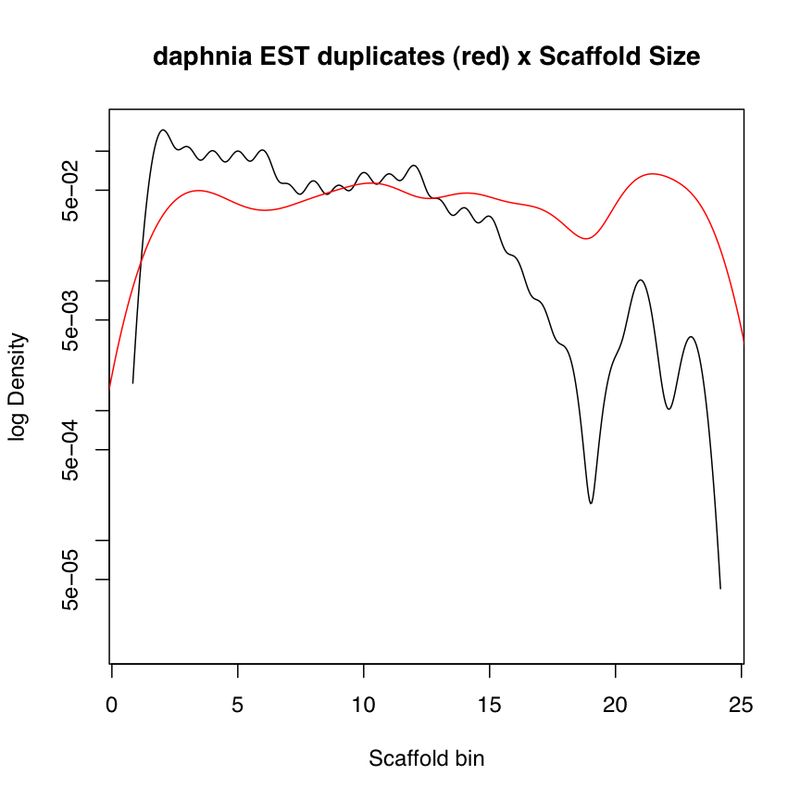 Scaffold sizes (X axis) are from Large (left) to small (right).